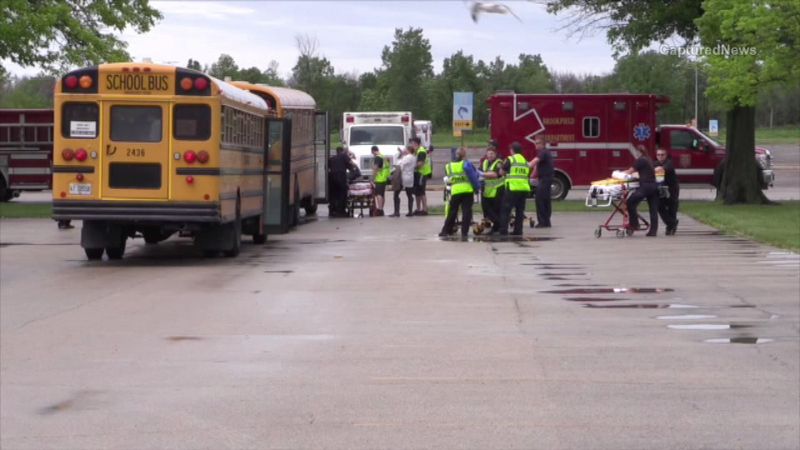 BROOKFIELD, Ill. (WLS) -- Ten students were taken Loyola Medical Center with minor injuries after two school buses were involved in a crash at the Brookfield Zoo, according to a zoo spokesperson. The crash is minor, the spokesperson said, and took place in the zoo parking lot. The students were transported to hospitals as a precaution. Brookfield Zoo released a statement, saying, "This afternoon an accident occurred between two school buses at Brookfield Zoo's main parking lot located at 31st Street and 1st Avenue. The situation is still being assessed and people are being transported to local hospitals. In addition to Brookfield Zoo's on-site ambulance local municipalities have also assisted."